Vice Provost and Graduate Dean Marjorie S. Zatz was selected as one of the Top 35 Women in Higher Education by Diverse: Issues In Higher Education. 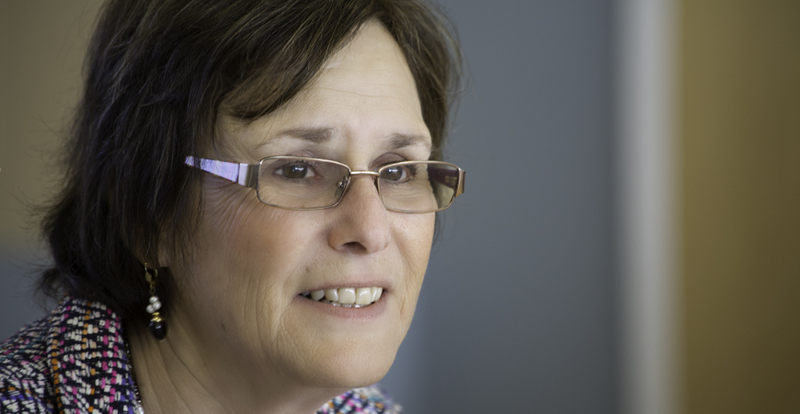 UC Merced’s Vice Provost and Graduate Dean Marjorie S. Zatz was selected as one of the Top 35 Women in Higher Education in Diverse: Issues In Higher Education’s eighth annual special report recognizing the contributions of women to higher education. The edition, in honor of Women’s History Month, marks the publication’s 35th anniversary by highlighting 35 women who are tackling some of higher education’s toughest challenges, exhibiting extraordinary leadership skills and making a difference in their respective communities. In her role at UC Merced, she is responsible for all aspects of graduate education, including admissions, financial support, recruitment and retention, professional development, diversity and inclusion and graduate program development. A grant from The Andrew W. Mellon Foundation is helping UC Merced further diversify its community of graduate students and faculty. The National Science Foundation’s Alliances for Graduate Education and the Professoriate (AGEP) California HSI Alliance are connecting four Hispanic Serving Institutions in California with the specific goal of developing, implementing and testing a model for creating a more diverse STEM faculty workforce. The Interdisciplinary Computational Graduate Education (ICGE) program, also funded by the National Science Foundation, aims to enhance student success and reduce graduate student attrition rates in the computational sciences, particularly for underrepresented minorities and first-generation students. The Competitive Edge Summer Bridge program began in 2015 to assist new graduate students — many of whom are first-generation and/or underrepresented minorities — in making strong transitions to their doctoral programs and, ultimately, help cultivate a diverse professoriate. Zatz also proposed the Chancellor's Dialogue on Diversity and Interdisciplinarity, now in its third year, to expand the campus’s commitment to diversity and inclusion among students and faculty and staff members. 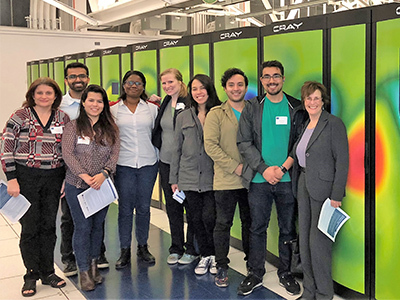 Zatz with UC Merced's 2017-18 NRT ICGE students at Lawrence Berkeley National Laboratory. Previously, Zatz served as vice provost for Academic Personnel, associate dean in the Graduate College, and director of the School of Justice & Social Inquiry at Arizona State University. She was appointed Fulbright senior specialist to Australia’s Monash University and RMIT University in 2012 and held positions as distinguished visiting professor in the Faculty of Arts at Monash University and as visiting researcher in the Faculty of Law at the University of Havana. From 2012-2014, Zatz served as director of the National Science Foundation’s Law and Social Sciences Program. Through her work as a sociologist and administrator for more than 36 years, she has made enormous contributions to social democracy and justice to help ensure that everyone has the opportunity and the resources to excel. Zatz has published seven books and numerous articles and book chapters. 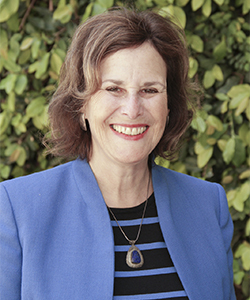 Her most recent book is “Dreams and Nightmares: Immigration Policy, Youth, and Families.” Her research topics include immigration policy; race, gender and juvenile and criminal court processing and sanctioning; Chicano gangs; and Latin American legal systems and have garnered her several national and regional awards, including the Lifetime Achievement Award from the American Society of Criminology Division on People of Color and Crime.